Bartosh Import Auto Parts specializes in European and Asian auto parts. From factory OEM or better to performance and hard to find obsolete parts. From do-it-yourself repair manuals to local repair shops, Bartosh Import Auto Parts is Vancouver’s professionally recommended import auto parts store. 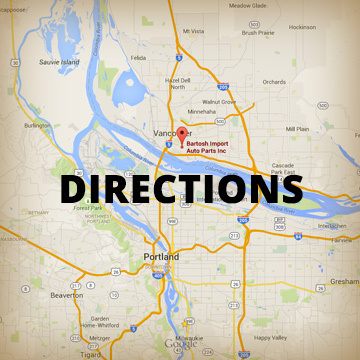 We are located in the heart of the Pacific Northwest, Vancouver Washington. Minutes from the city of Portland. We provide 30 years experience to help you find the right European – Asian auto part the first time!